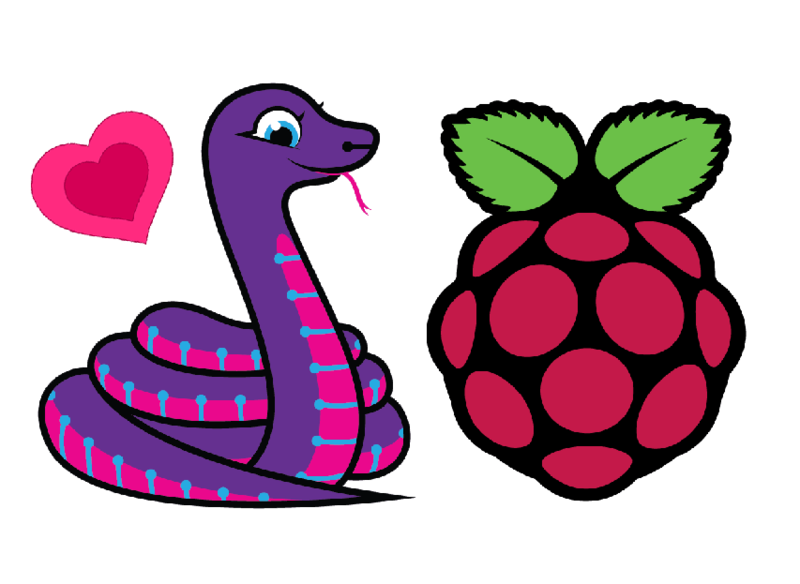 CircuitPython on Raspberry Pi: UPDATED GUIDES for BME280, BMP280, SGP30, AS7262, APDS9960 « Adafruit Industries – Makers, hackers, artists, designers and engineers! That’s right! It’s CircuitPython on Raspberry Pi! 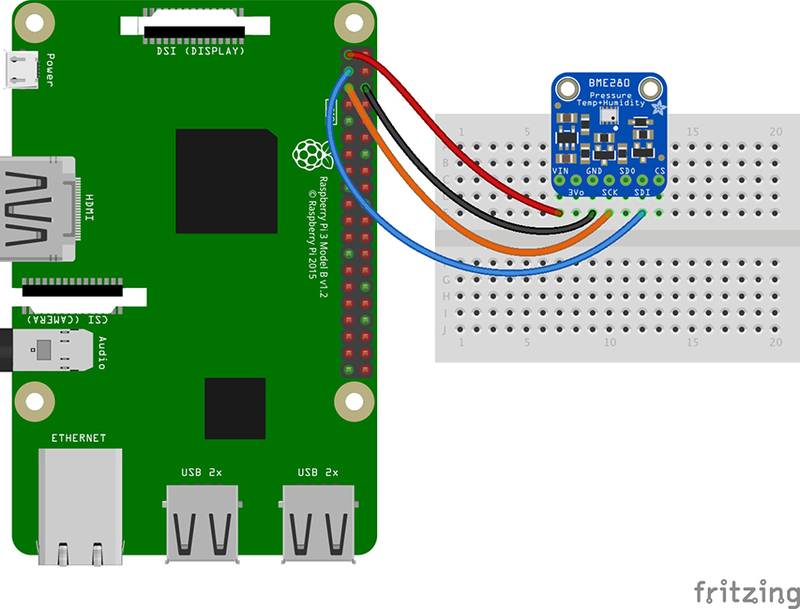 Wire up your favorite sensors and use the same great CircuitPython code you’ve been using with microcontrollers right on your Raspberry Pi! We’ve got tons of projects, libraries and example code for CircuitPython on microcontrollers, and thanks to the flexibility and power of Python its pretty easy to get it working with micro-computers like Raspberry Pi or other ‘Linux with GPIO pins available’ single board computers. We’ve written a special library called Adafruit Blinka to provide the layer that translates the CircuitPython hardware API to whatever library the Linux board provides. We’ve added all the libraries to PyPi so installation is super simple. We’ve updated the CircuitPython guides! They now have sections for wiring up the sensor to and installing the libraries on your Raspberry Pi. The CircuitPython code works exactly the same way it works on microcontrollers, so the code examples will work on your Raspberry Pi too! 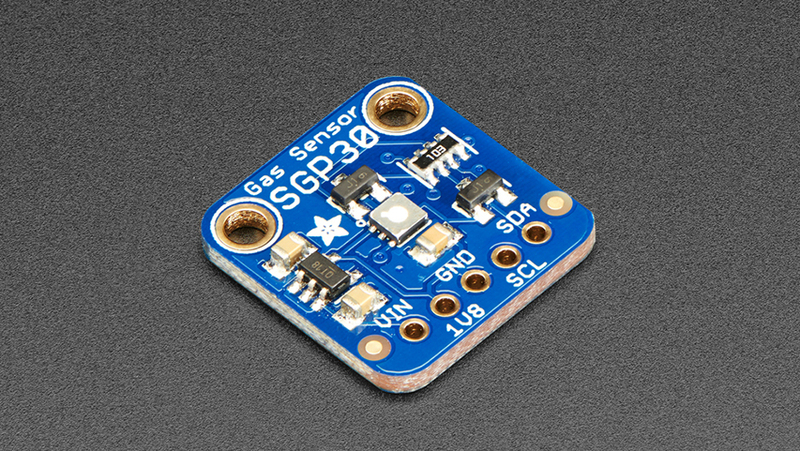 Adafruit SGP30 TVOC/eCO2 Gas Sensor – The SGP30 is a Multi-Pixel Gas Sensor, a fully integrated MOX gas sensor. This is a very fine air quality sensor from the sensor experts at Sensirion, with I2C interfacing and fully calibrated output signals with a typical accuracy of 15% within measured values. The SGP combines multiple metal-oxide sensing elements on one chip to provide more detailed air quality signals. 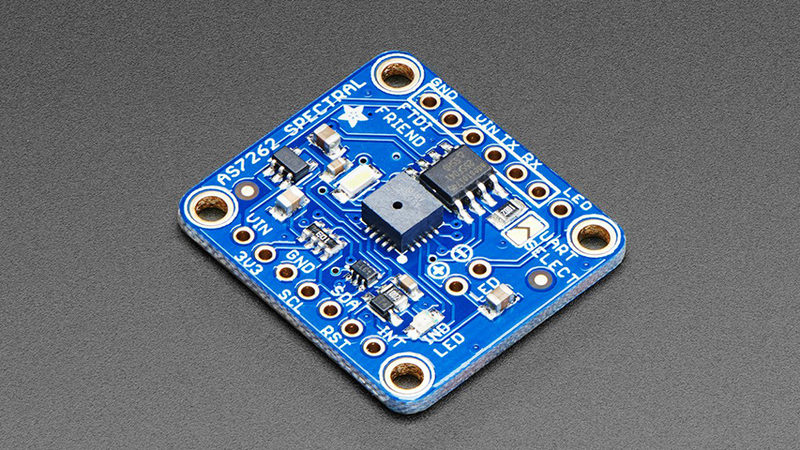 Adafruit AS7262 6-Channel Visible Light / Color Sensor – Detect trees of green, and red roses too with the new AS7262. This sensor from AMS has 6 integrated visible light sensing channels for red, orange, yellow, green, blue, and violet. These channels can be read via the I2C bus as either raw 16-bit values or calibrated floating-point values. There is also an on-board temperature sensor that can be used to read the temperature of the chip, and a powerful LED flash to reflect light off objects for better color detection. 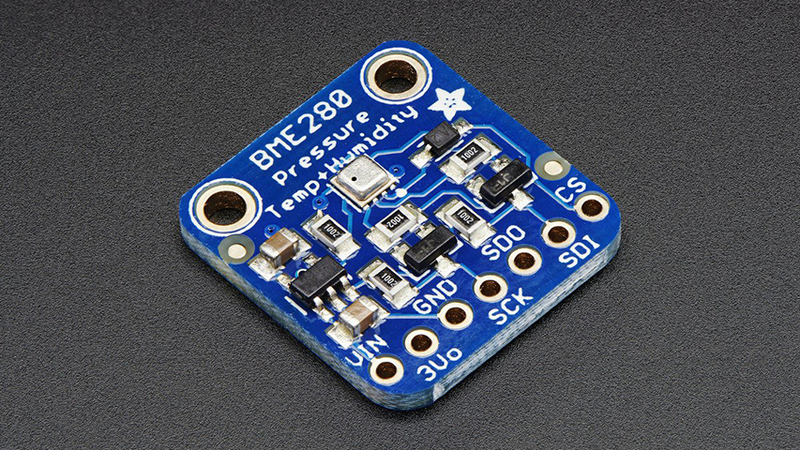 Adafruit BME280 I2C or SPI Temperature Humidity Pressure Sensor – Bosch has stepped up their game with their new BME280 sensor, an environmental sensor with temperature, barometric pressure and humidity! This sensor is great for all sorts of weather/environmental sensing and can even be used in both I2C and SPI! 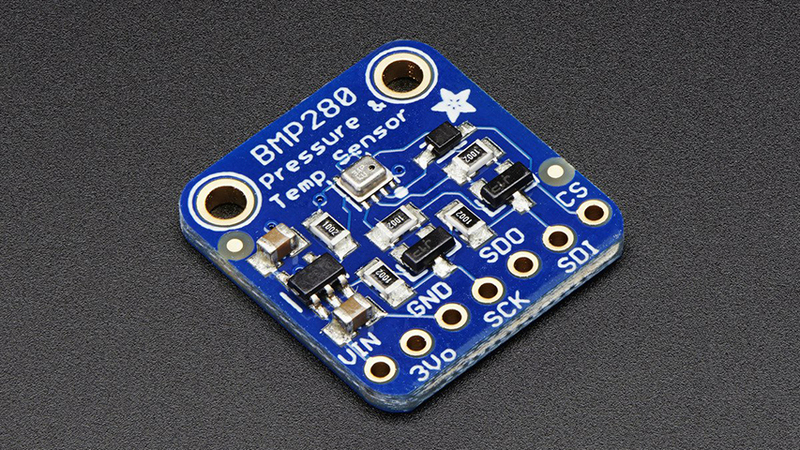 Adafruit BMP280 I2C or SPI Barometric Pressure & Altitude Sensor – Bosch has stepped up their game with their new BMP280 sensor, an environmental sensor with temperature, barometric pressure. This sensor is great for all sorts of weather sensing and can even be used in both I2C and SPI! 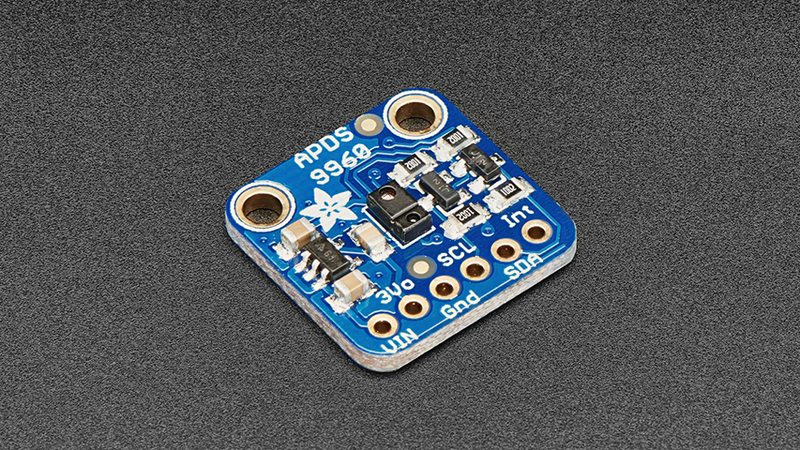 Adafruit APDS9960 Proximity, Light, RGB and Gesture Sensor – This handy sensor is full of features! Add basic gesture sensing, RGB color sensing, proximity sensing, or ambient light sensing to your project with the APDS9960. It can detect simple gestures (left to right, right to left, up to down, down to up are currently supported), return the amount of red, blue, green, and clear light, or return how close an object is to the front of the sensor. This device uses an I2C interface so it’s easy to wire up and use.